I was going to ask you to photo how you have your photo bench set up? The photos you took of those flies are outstanding. They are very good photos. I have a pretty good "house camera" ie. my wife won't let me take it fishing. It's a Sony DSC-H7. What I know about digital photography would fit in a coffee cup but I manage to take enough bad photos to get a few good ones. These are some of my best photos taken outside with the side of our "ghetto" pool as a background. Wish I could snap shots that good Chris.. looking forward to receiving the swap flys. The fly I tied is basically an anchor fly a variant of the big turd. I call it the cowpens because that is what the text below the anchor tattoo on my great uncles arm reads USS Cowpens. Glad they made it. Thanks again DH! I just received my Flies! Now DH took some outstanding photos, but they are even more impressive when holding them. I showed my secretary DH's fly. She didn't like it. It looked too real. The flies - and the pics rock! C'mon round two, I can't wait to get my hands on these. Thanks DH for hosting the swap, great job. on the best way to fish this baby? It can be used as an anchor fly Euro nymphing or fished under a bobber. I have found though that most of the time the fish come to the turd, at least this winter. I usually fish it solo under and indicator, its heavily weighted so I find that I dont need to mess around with split shot. I do real well with this pattern on the musky, but have heard this is the hot collor on the D for those that like to nymph. 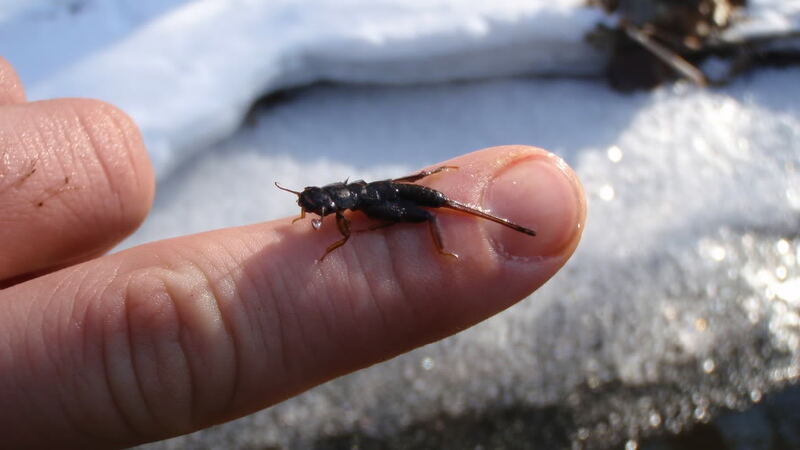 I'll have to give it a try, I thought it may be a stonefly imitation. 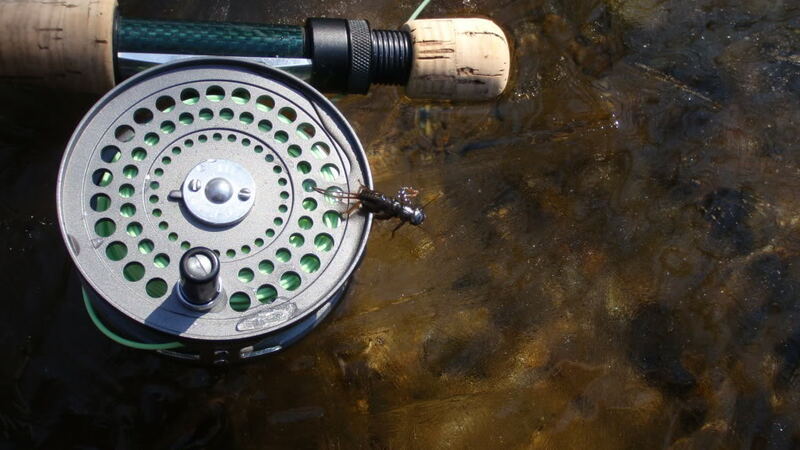 Looks like a trout killer, nice fly. Great. Are you going to do a Round 3?